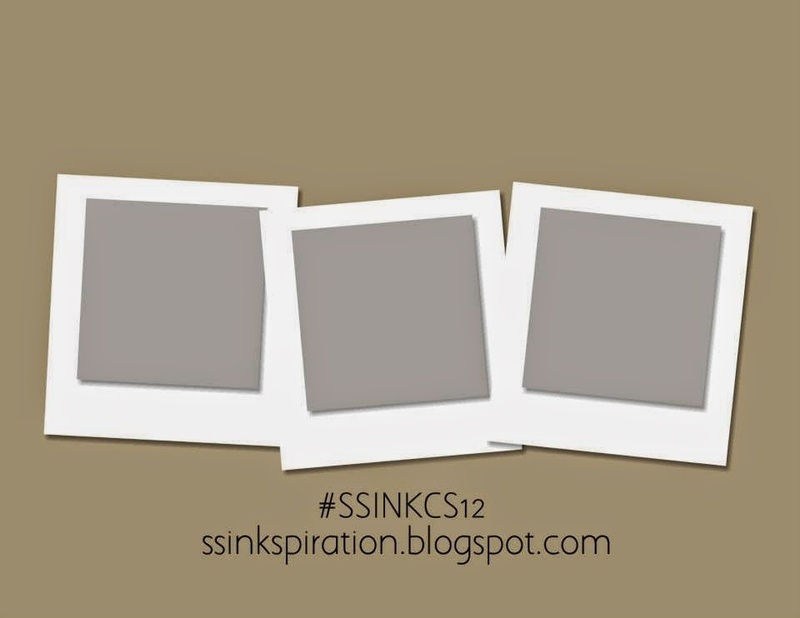 We have a Sketch Challenge over at SSInk! Click on the picture above to see all of the other team members' creations! Today is my first day back as a teacher... organizing my new classroom, decorating it and planning my first few weeks of learning are all on the agenda! But for now, I have a sneak peek of the fun new Holiday Catalog! If you are in my Stampin' Club, you received your catalog on Friday. Most of you will be getting the catalog in the mail mid-August but a few I will be sending/ handing out. This new set is called Freaky Friends and the Designer Series Paper that coordinates is called Motley Monsters! I just love the cute monsters! 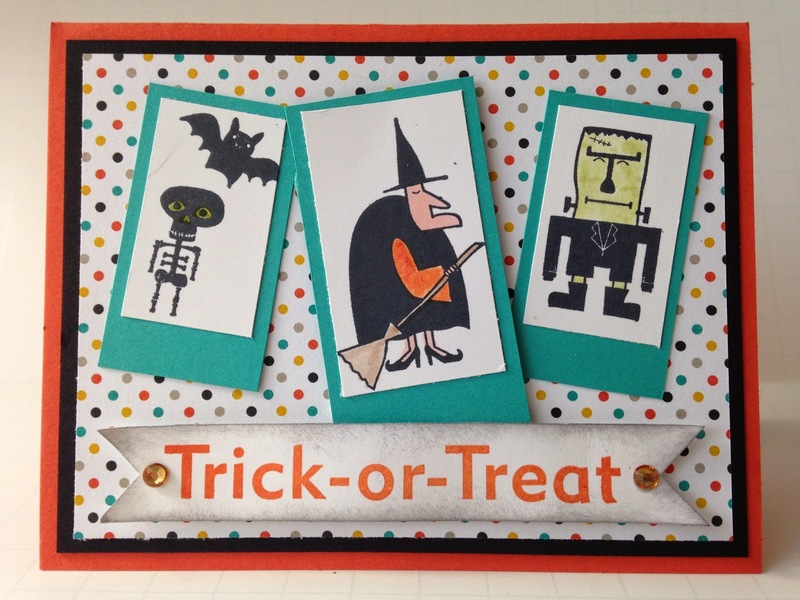 The stamp set called "Frightful Wreath" has this "trick or treat" sentiment. I really love the font used in this set. Wait until you see the Halloween Wreath we are going to make in October with this set! Because some of the products aren't available, I can't provide direct links but the colors I used are: Tangerine Tango, Bermuda Bay and Basic Black. Did you like the way I colored the rhinestones? It's those wonderful Blendabilities - I used Pumpkin Pie (the medium color). Cute card. I just ordered this stamp set. Can't wait to get it.